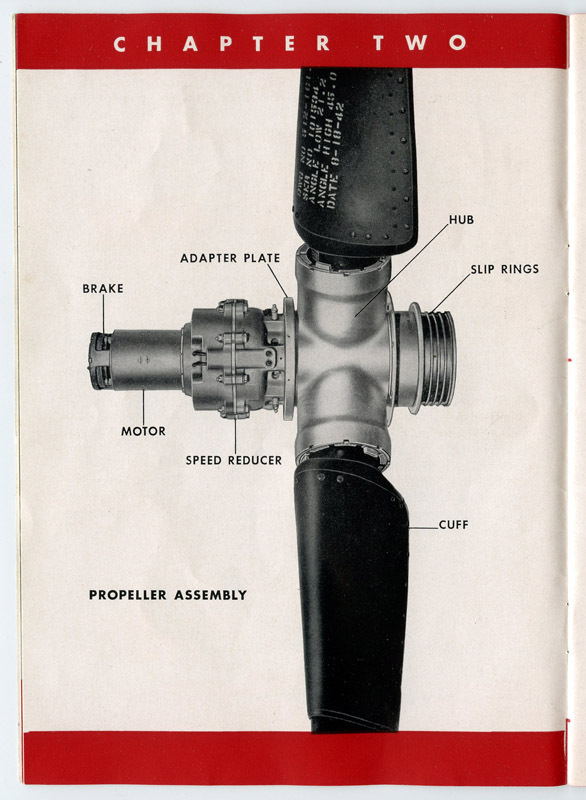 ARTIFACT: This is a wonderful World War II factory promotional booklet for the Curtiss Wright electric propeller. 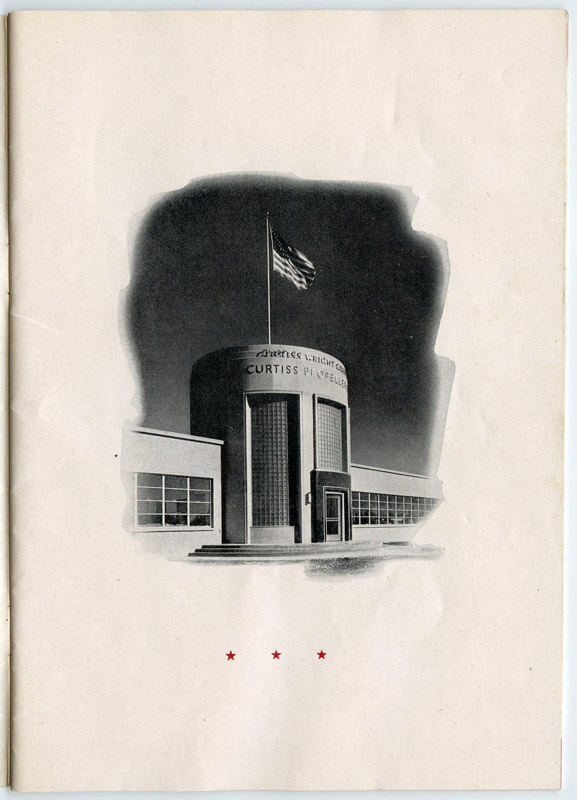 Curtiss-Wright began in 1929 when Curtiss Aeroplane and Motor Company of Buffalo, New York, and Wright Aeronautical of Dayton, Ohio merged. 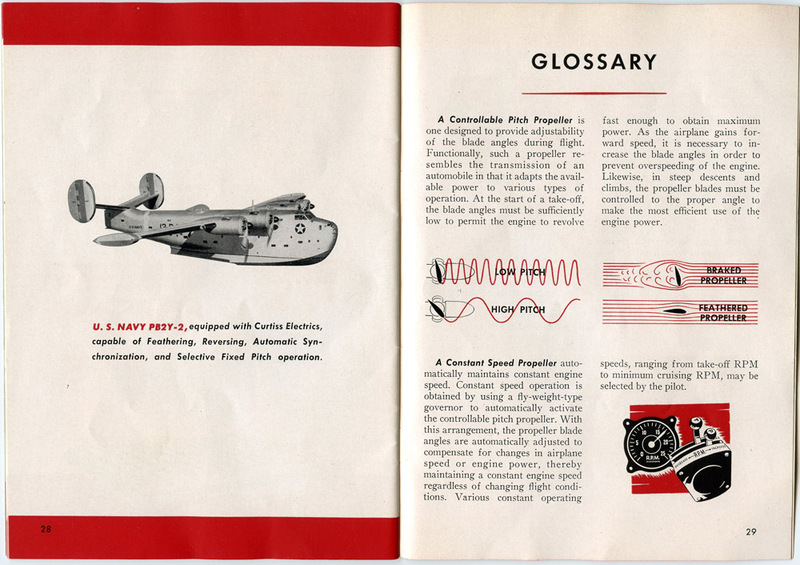 The booklet was published in 1944, and has some one-color illustrations, including one of a US Navy PB2Y-2 equipped with Curtiss gear. SIZE: 30 pages, approximately 7-5/8" in height and 5-1/2� in width. CONSTRUCTION/MATERIALS: Glossy paper cover, paper. MARKINGS: Third Edition Copyright 1944 Curtiss-Wright Corporation Propeller Division Caldwell, New Jersey U.S.A. 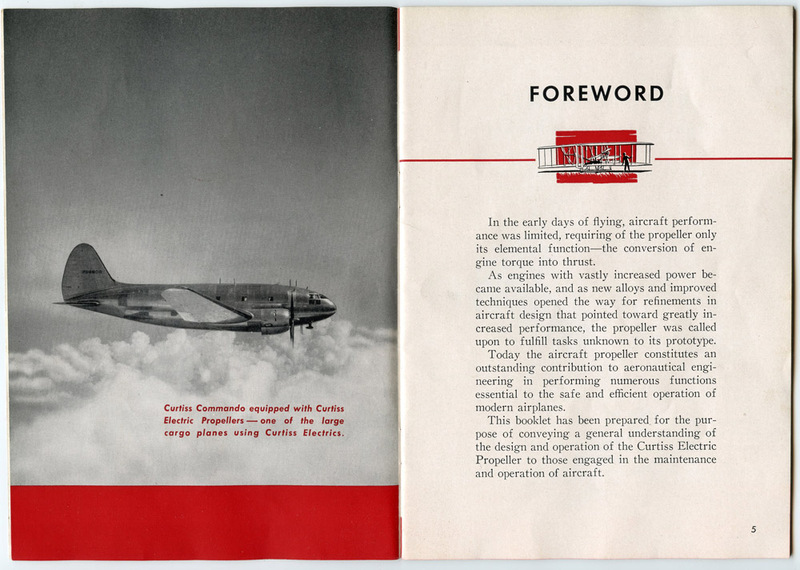 ITEM NOTES: This is from an aviation company booklet collection that we will be listing more of over the next few months. MCX14 LFJX8/14 CONDITION: 7 (Very Fine): The book has a small stain and some surface scrapes on the cover (to left of man).